Again some trial videos from the weekend, with big thanks to Olga&Roman and Petra&Petra for the videos!!! 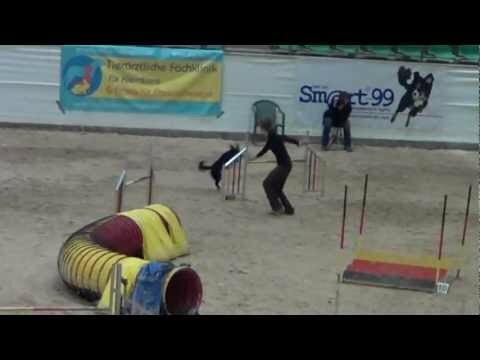 And yes, Germany has this most stupid rule ever that you can only run with 2 dogs, so only the youngsters got to run this weekend 🙂 And they did just GREAT. We did have some stupid mistakes such as the up contact with Bi and Le crashing the tire with her head, but I'm really happy about all our runs this weekend, we were consistently setting best times in A3 (300 dogs in large, 100 in medium). LOVED the courses, organization and walking options around the hall!